MUST BE REGISTERED TO VIEW! ROSEBUD – A journey of symbolism within the chakra system; assisting in the removal of blockages and self-understanding. SUITCASE – A journey through releasing emotional baggage. GRATITUDE – Incorporates the principles of gratefulness and its connection to the love-fear cycle. BEACH – Finding solitude and peace in a powerful beach setting. HORSE – Surrendering control and trust. DIANE HAWTHORNE - Diane Hawthorne is a native of Bucks County, Pennsylvania where she currently resides. She has her BSN in nursing, is a Reiki Master of the USUI tradition and is currently working on her thesis for Masters of Divinity. 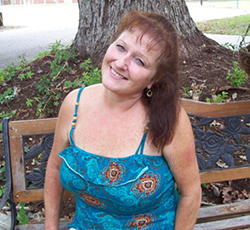 Diane’s interests lie in the mind and body of medicine and working with the energetic fields for healing purposes, as well as, the Shamanic tradition of the medicine woman. The road through life has sometimes been tough and the path well worn, but with the traveling comes wisdom. I work hard, love hard and play hard...because we never know when it will all change. For now...life is entirely too short.